Dippin’ Stix are manufactured in Minnesota and the world-renowned Minnesota State Fair starts today. The MN State Fair is famous for food “on-a-stick” such as “Cheese-on-a-stick” or “Walleye-on-a-stick” and even a Minnesota classic “Hotdish-on-a-stick,” so we thought it would be fun to do our own version of something-on-a-stick to celebrate our great state fair! 1. Spread the peanut butter on to each slice of bread. 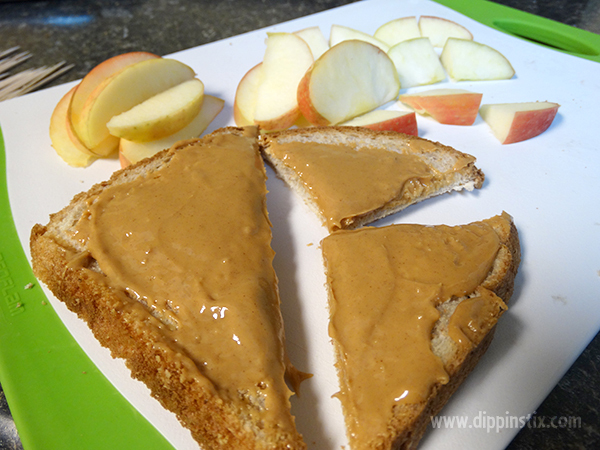 Determine how large you want your sandwiches to be and slice the bread & apples accordingly. 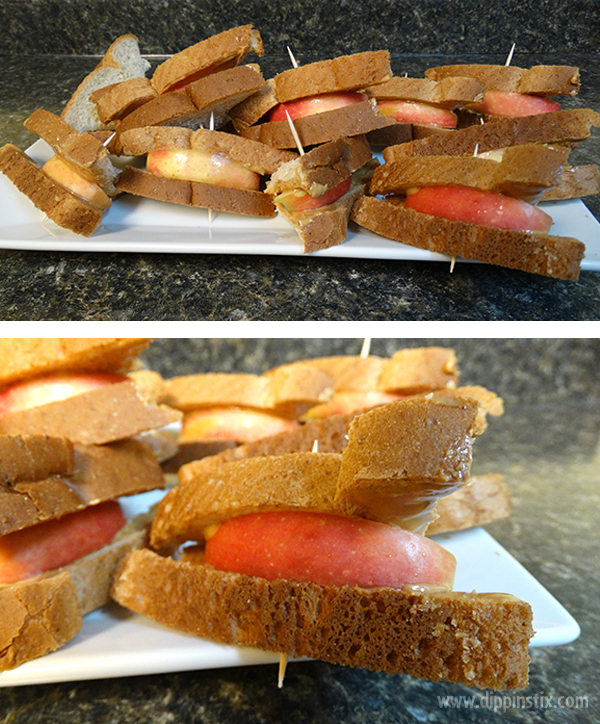 We ended up cutting our bread into diagonal quarters and leaving the apple slices intact. 2. 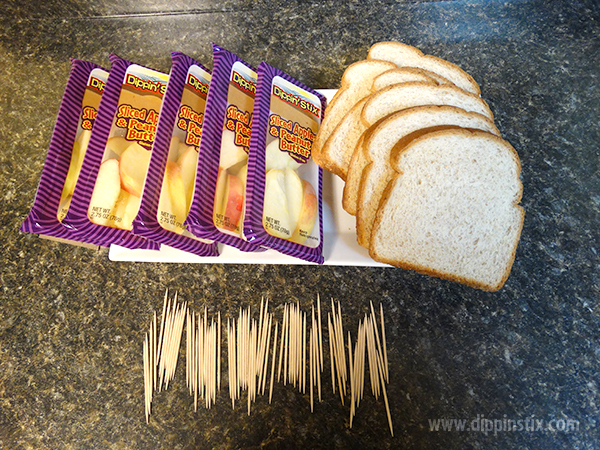 Assemble the sandwiches and stick a toothpick through to hold together. Enjoy these tasty little Sandwiches-on-a-Stick!